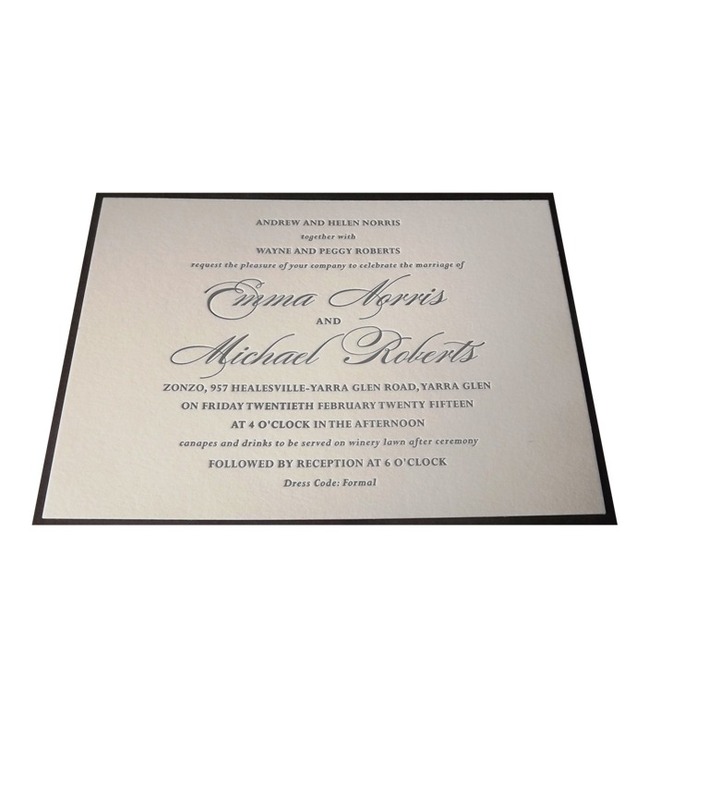 This beautiful luxurious card is printed letterpress on premium 300 GSM cotton card. All artwork proofs are done by email in pdf before printing. this invitation is A5 size. for free samples of our work contact us on 0405 834 951 or email impressive.inkreations@gmail.com or use the contact page on the website.